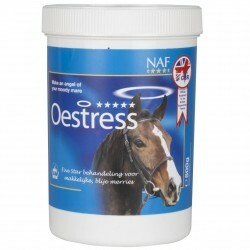 A unique complex, OESTRESS supplements the mare with extracts of herbal ingredients that have been used for hundreds of years to support hormone balance. 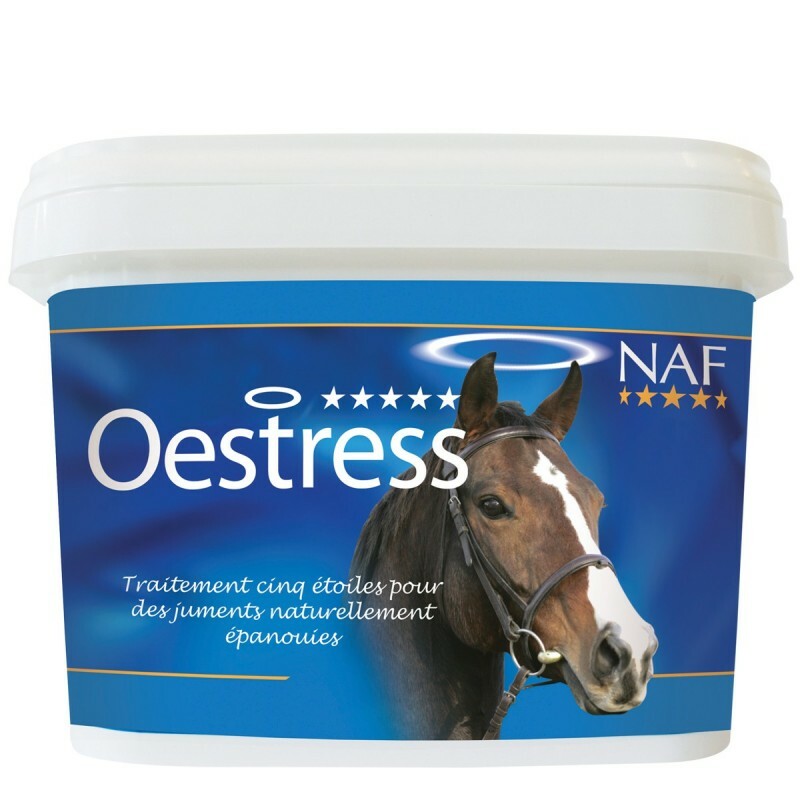 So by improving her diet with OESTRESS , you are helping your mare to help herself and she will be more inclined to relax and concentrate on her work. 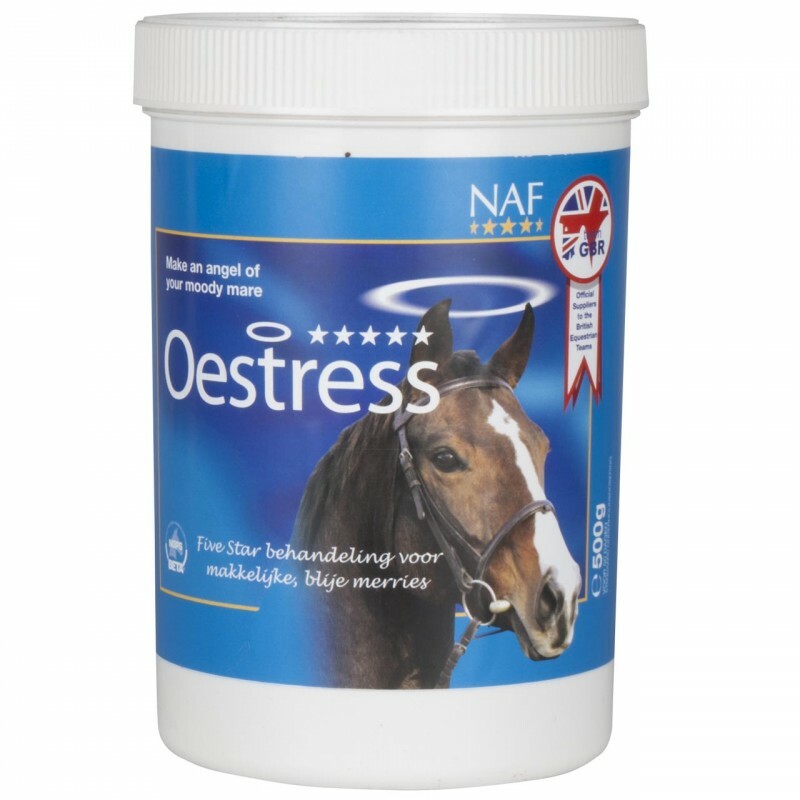 OESTRESS also provides bio-available magnesium to support the system against the associated anxiety and muscle tension often seen in hormonal mares. Lastly, OESTRESS is rich in natural antioxidants to flush out toxins from the system. Chastetree berries, Magnesium oxide, Cramp bark, Black Cohosh, Sunflower seed, Bitter orange peel (ripe), Immortality herb, Omicha berries, Fenugreek seed, Skullcap, Rosehip shells, Turmeric, Milk thistle seeds, Dandelion leaves, Rosemary, Gingko leaves, Ginger, Chlorella (dried), Carrot (dried), Licorice, Rapeseed oil.